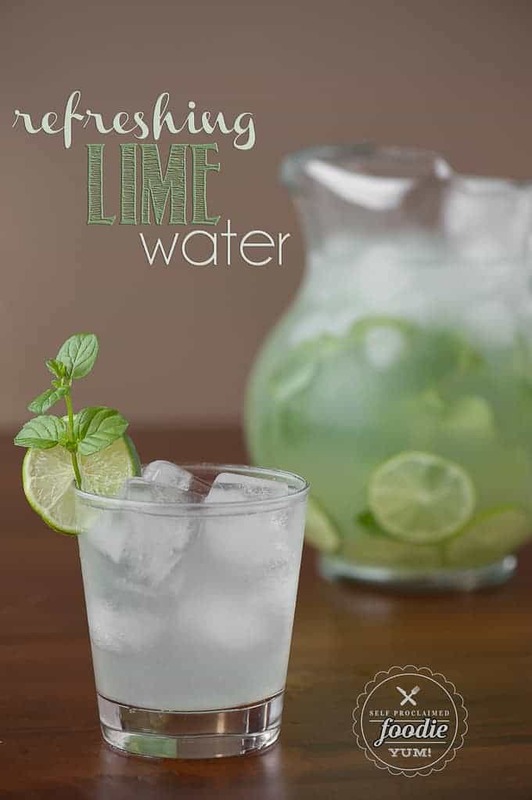 Next time you entertain, your guests will love it if you set out a pitcher of Refreshing Lime Water. Its my favorite way to stay hydrated. If you’ll notice, I categorized this one under Drink and Tips & Tricks. 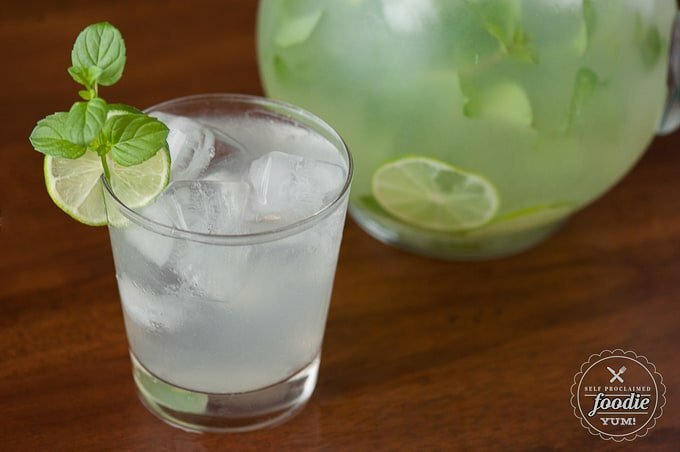 Do you really need a recipe for lime water? Nope. You just squeeze some lime juice into some water. Voila! The reason I’m actually taking the time to make, photograph, and write about lime water is because I don’t think everybody does this (and they should). I know there are some folks out there who love to drink water and get as much or more than they should on a daily basis. I’m not one of those people. I’m a coffee addict. I pretty much have to force myself to drink water and the only time I really want it is usually way past the point of dehydration. Another weird thing about me is that I will spend a ton of money on expensive wrinkle creams, yet if I were to just drink more water I’d probably take 10 years off the lines in my face. Have you ever watered a dried out plant and watched it come back to life right before your eyes? Yeah… why can’t I do that for myself? I have found that I absolutely love water with fresh lime juice. When that wonderful green citrus flavor comes through, I can and will drink a ton of water (well, a hell of a lot more than I usually do). 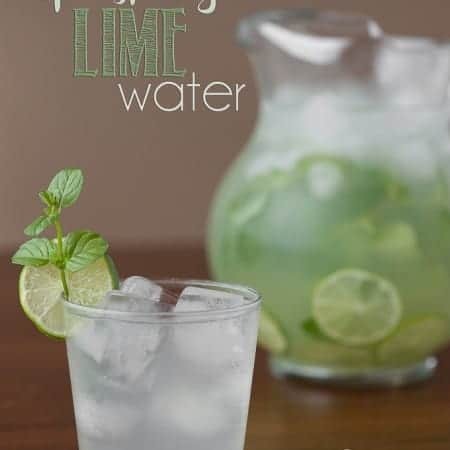 I thought doing something like this was common practice, but when we had some friends over for dinner and I put out a pitcher of lime water, they said they had never added lime to their water… and they loved it. A squeeze of lemon is common place at a restaurant, but I guess there’s not a lot of people who use lime. We love having lime water to drink at all times, but we’re lazy. Well, lazy might not be the best word. Let’s just say we’re efficient. I would much rather buy a big bag of limes from Costco, juice them all up at once, and then freeze them into single serving cubes than make a mess by juicing a lime every time I want a glass of refreshing lime water. 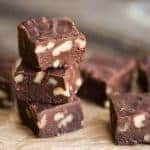 Lime juice cubes and dark chocolate are the two things you will always find in this Foodie’s freezer. Squeeze juice from limes and remove any seeds. Combine with ice water. 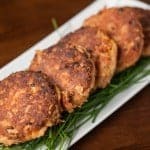 Garnish with lime slices and sprigs of mint, if desired. 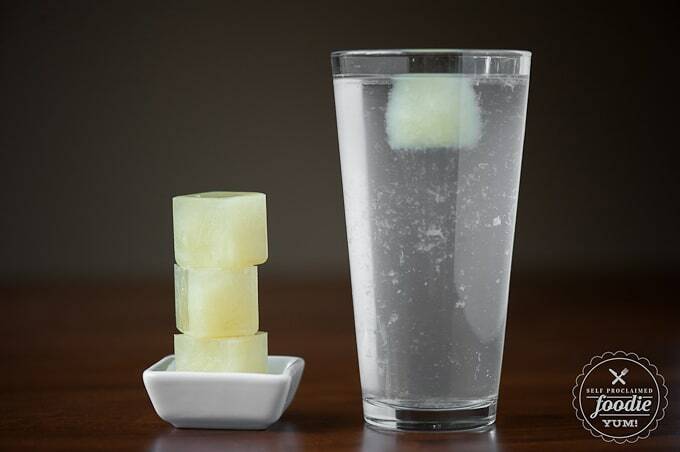 To make lime ice cubes, just freeze the juice in ice cube trays (I use silcon trays) and pop a frozen cube in a tall glass of water. This sounds like a great idea, Krissy! At one point, I was addicted to Mountain Dew, now I’m proud to say I love water. 🙂 The naturally flavored water got me started. I love lemon water, love cucumber water. I’ve tried many fruits, but I don’t think I tried lime. 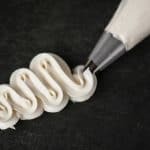 Can’t wait to try it now! PS: I do the same bulk juicing with my lemons too. This method was incredible, You should try lemon cubes in lemonade it’s great!!!! 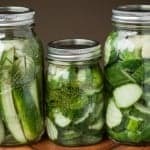 Lime and cucumbers are so so gooooooodddd! What I wouldn’t give for a lime tree!